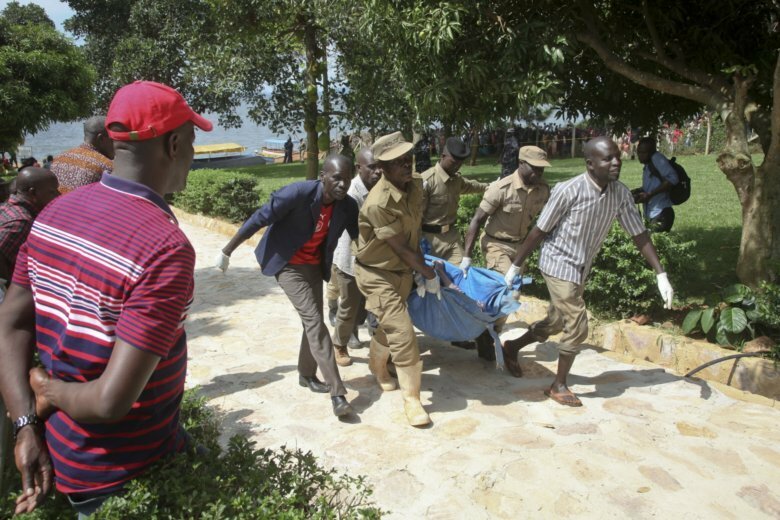 MUKONO, Uganda (AP) — Ugandan divers retrieved 31 bodies and expected to find more in a capsized vessel in Lake Victoria, making it one of the country’s worst maritime disasters and prompting the president to call for more stringent safety regulations. The boat had gone about half its journey when the captain noticed the hull was “taking in water very quickly from welded spots,” said Henry Ategeka, Uganda’s principal marine inspector, citing findings from a preliminary investigation. “They took him down with them. In the morning, when they found his body, another dead man was still grabbing him,” said Maureen Nagawa, speaking of her drowned cousin. The boat’s passengers, in a party mood, likely panicked when the vessel started to sink, he said. Other officials said that the captain’s emergency commands may have been drowned out by loud music. Boat accidents are increasingly common on East Africa’s major lakes, including Lake Victoria, which is surrounded by Tanzania, Kenya and Uganda.